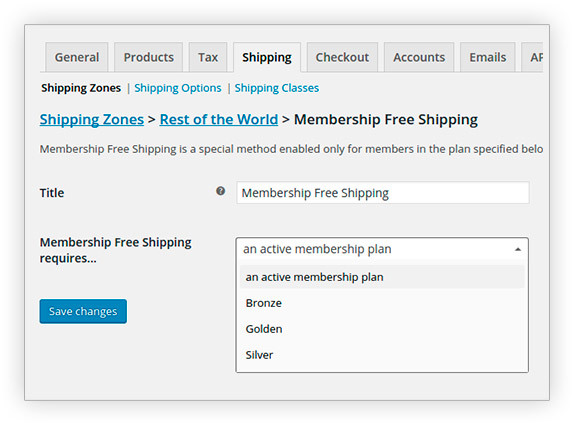 Selling products with dedicated access is a great opportunity to increase your earnings: big companies like Udemy or Treehouse prove it, achieving a huge amount of sales volume with this business model.  Their income is intended to grow considering the number of people looking for their products. 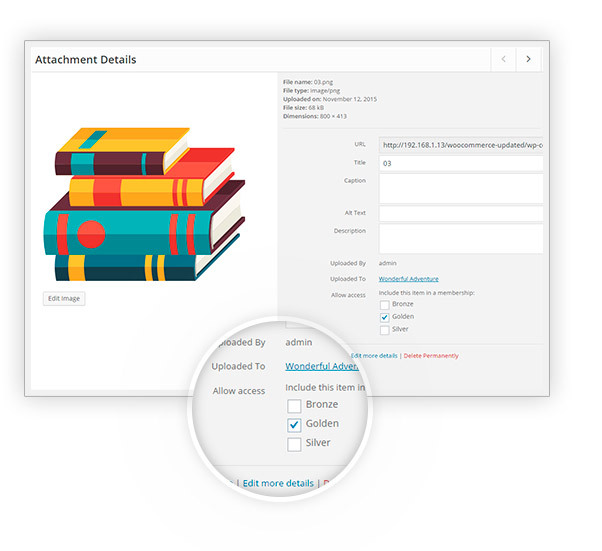 In a completely automatic way, you could offer your users a restricted and exclusive access to tailored information, like a course, a study plan, a sequence of e-books, or even premium services, etc. Tweak: changed status label from "Not Active" to "Suspended"
There are no limits to the number of plans you can create for your users. 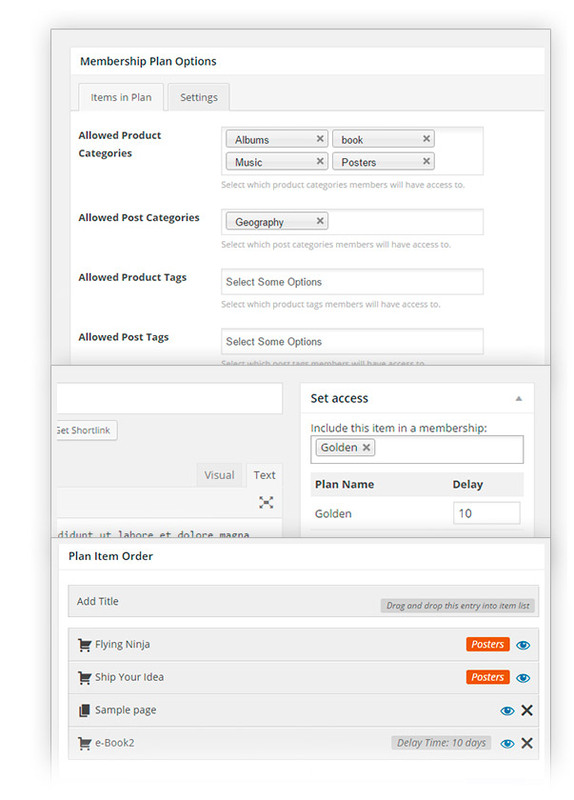 Setting a time limit for specific contents. 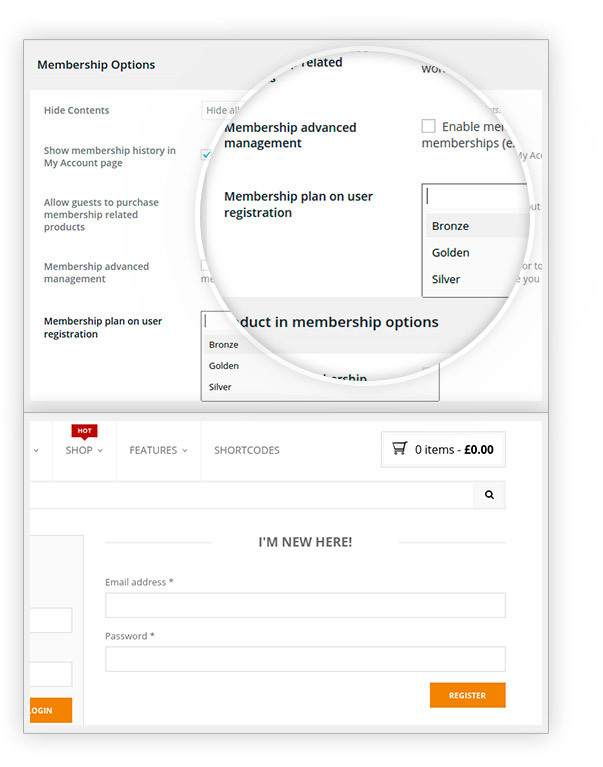 In this way, your members will have access to both contents at the same time. 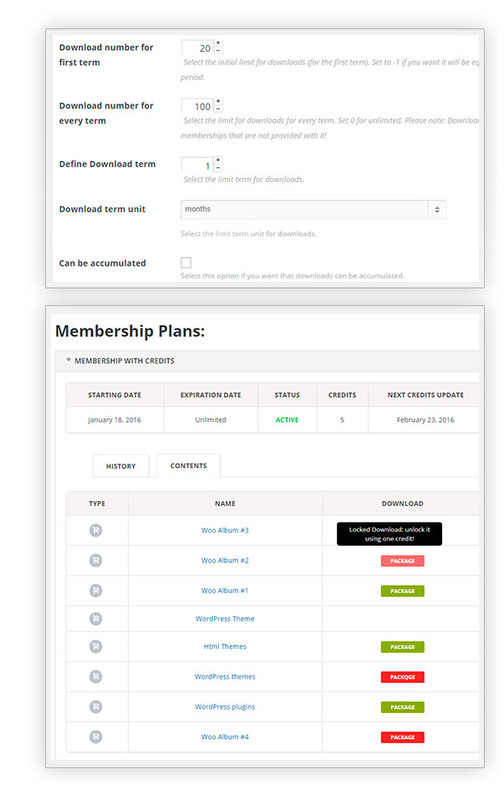 All files of the WordPress gallery of a certain plan will be available only to logged in and registered users of the membership. 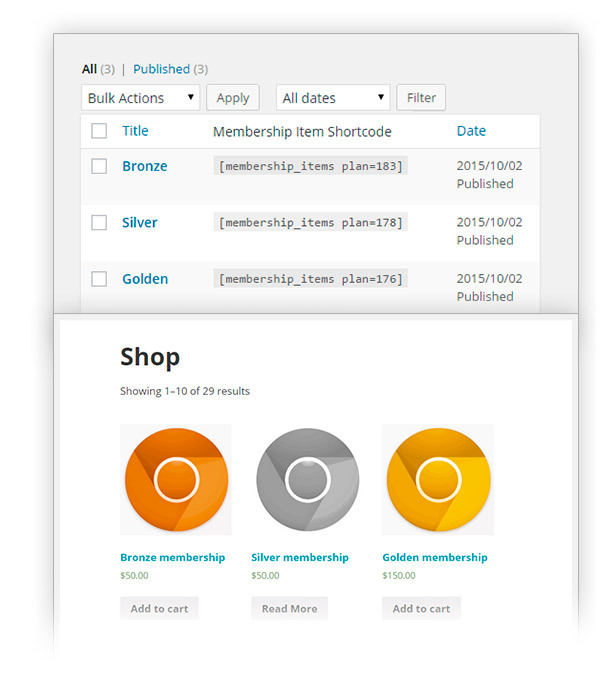 You can edit easily the contents of your memberships, even if these were set previously. 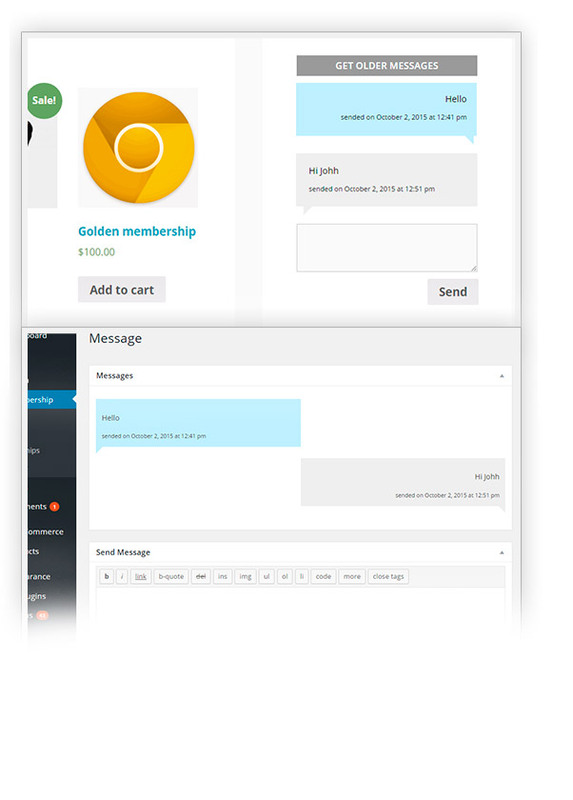 With the ``Messages`` widget, your users will be free to contact quickly administrators. 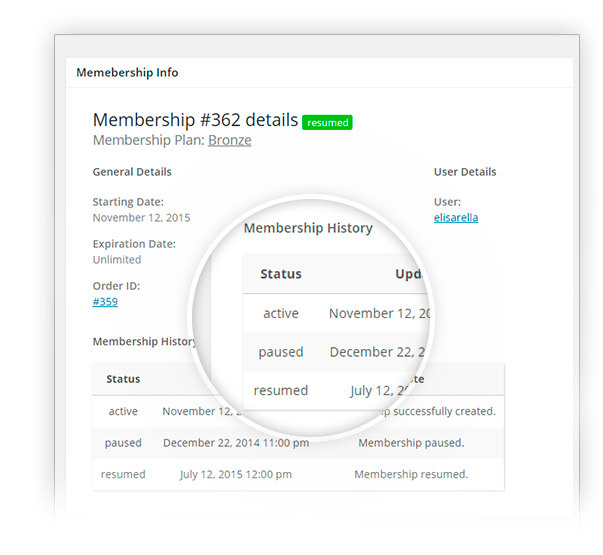 Any modification you will make will be saved in a related history of the membership. Edit contents or delete one, every action will be saved. 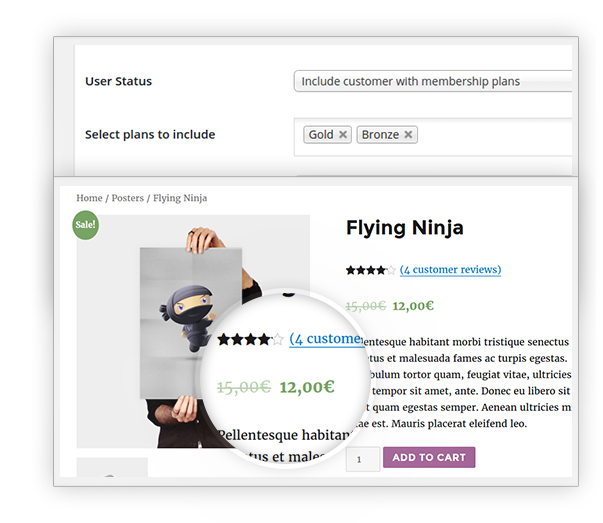 Redirect meddling users to error pages, or make them see customized contents. 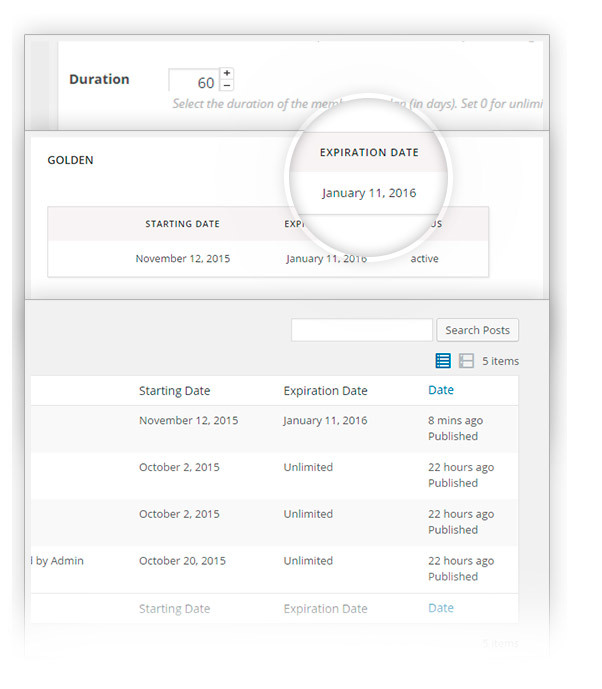 Edit registration or expiring emails of a membership. 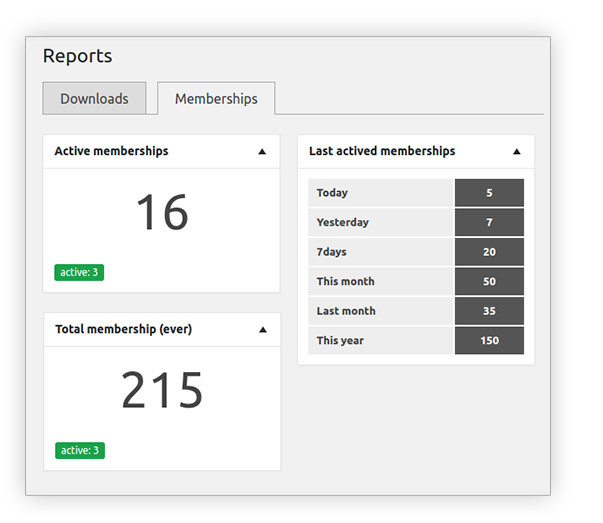 Everything at your fingertips in the ``My account`` page. 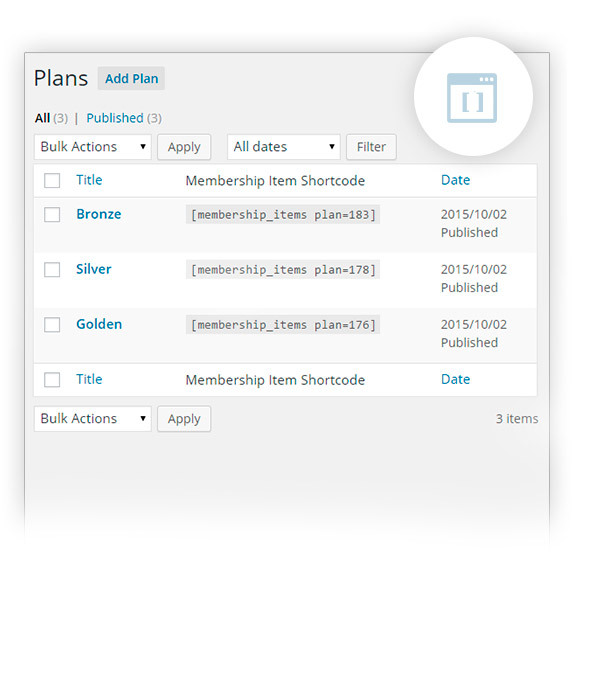 Copy and paste the shortcode of the plans and that's all! 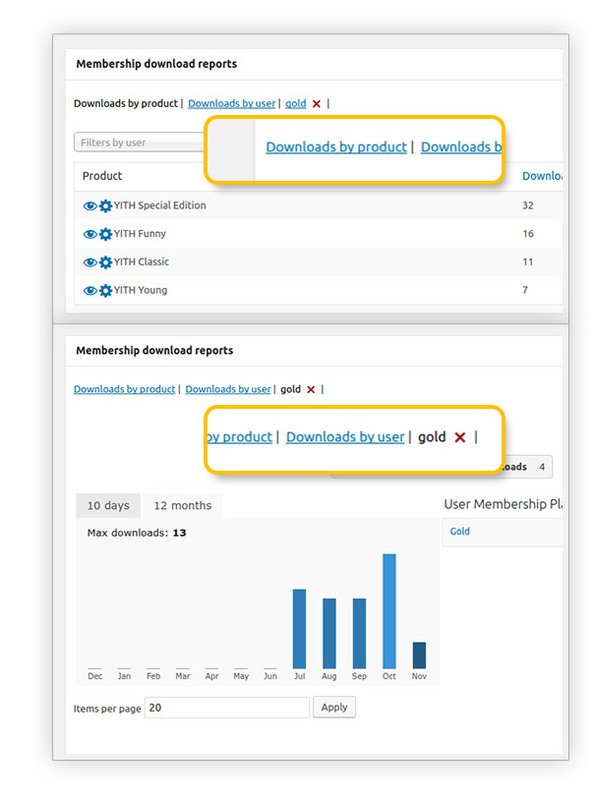 Choose whether to show them only to members, or show them to anyone but let only members to download files. 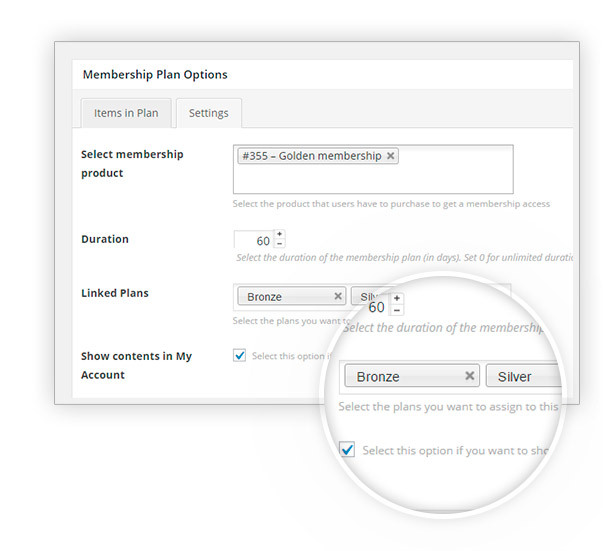 Links will only be displayed by users who are subscribed to one or more of the memberships available in your website. 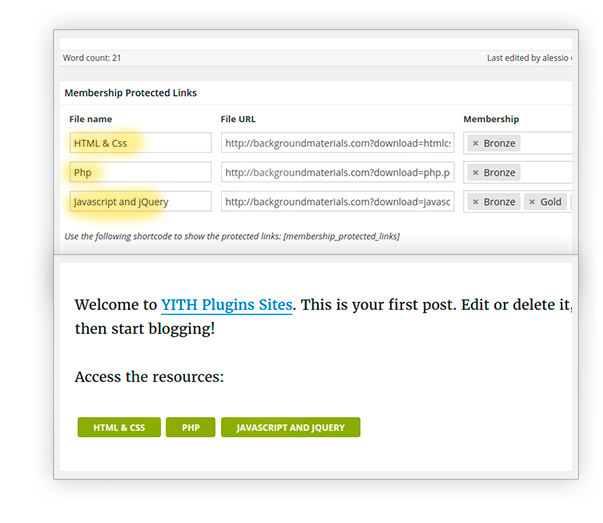 Great great service!The plugin, awesome, and the service even better. I am a rookie and it was very nice to see both people in chat and tickets help me out that well. The chat supporter helped convince me that this was the plugin I needed, and showed me the steps in the live demo. Now I get what I am doing, the plugin is very easy to handle. 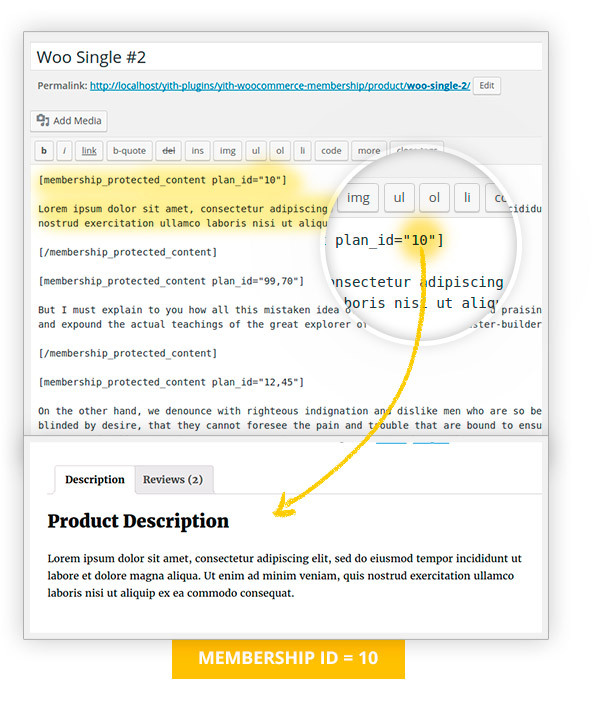 Flexible and well-supportedI really love this plugin because it allows me to do almost everything. 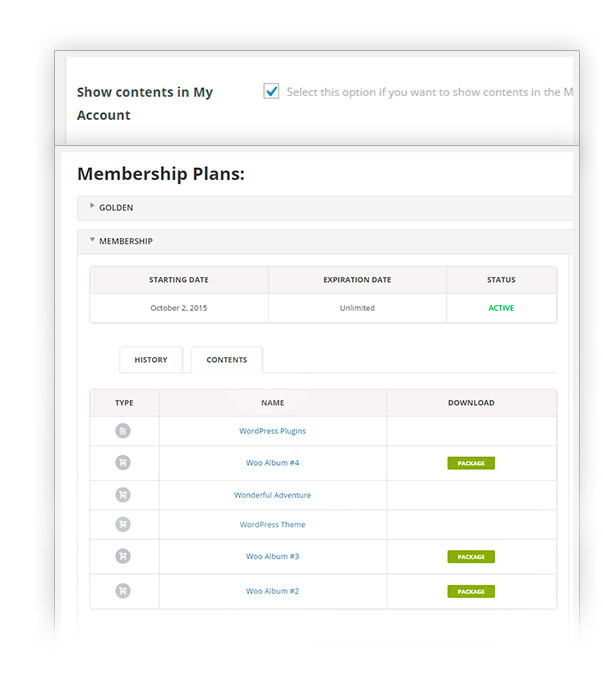 It's very flexible and I can use for any sort of plan I want to create for my members. 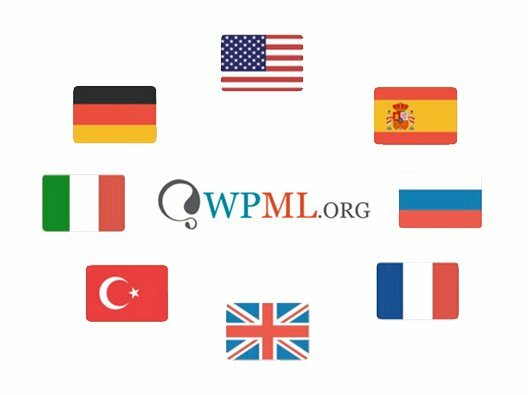 Thanks a lot for the great plugin and the great support you offer every day. 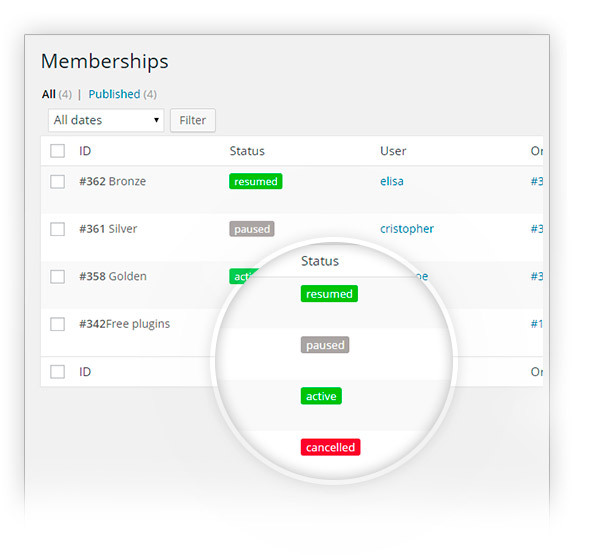 Really satisfied and nice integrationGreat plugin! 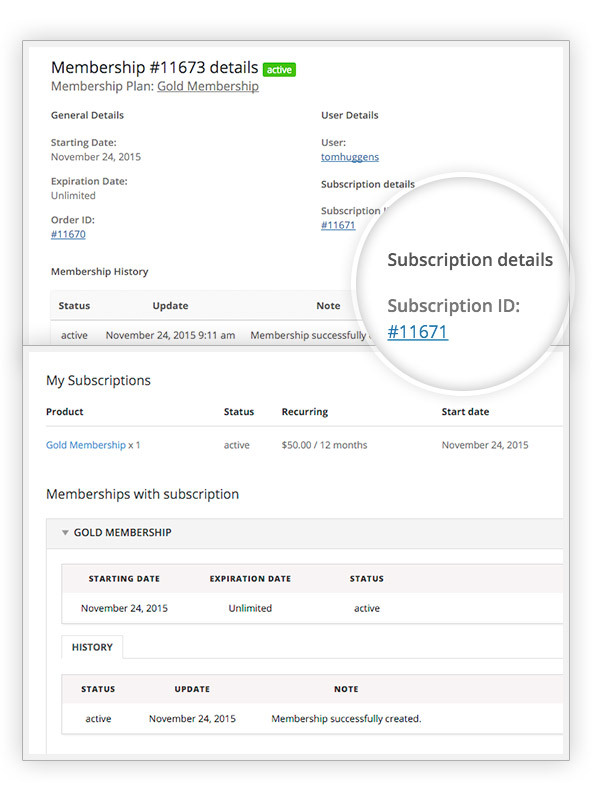 I use it together with subscriptions to benefit from the recurring payments! 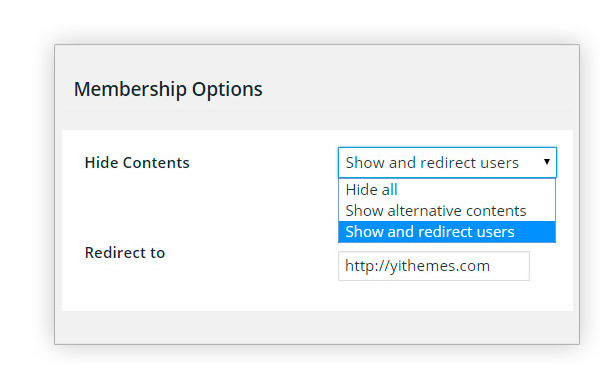 no, only members with an active membership plan will be able to see those links (and will be able to download). Hi, Mab! 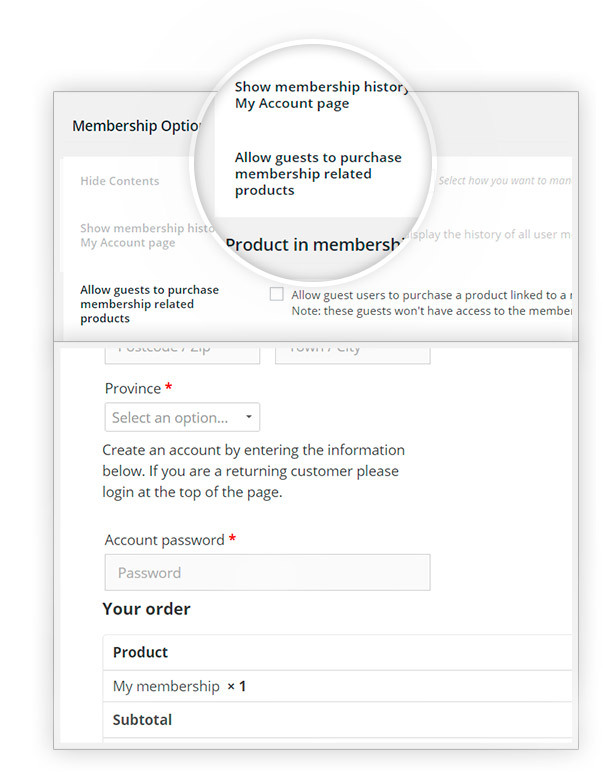 If the membership expires, the customer cannot use the credits. 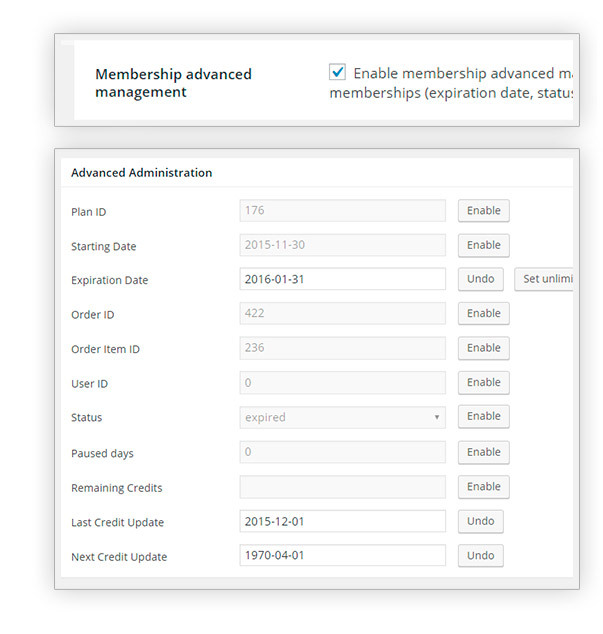 So, if we have a membership duration set to 1 month and 30 total credits and after one month the customer has used 20 credits, the remaining 10 after the expiration can't be used since the membership is no longer active. 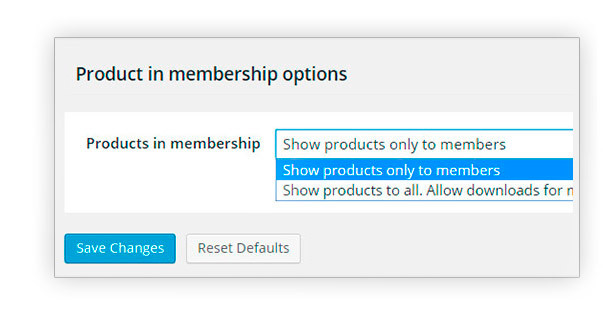 You can, however, set the membership duration to 0 (unlimited) so to allow customers to always use their credits as the membership won't expire. Hi, Sarah! 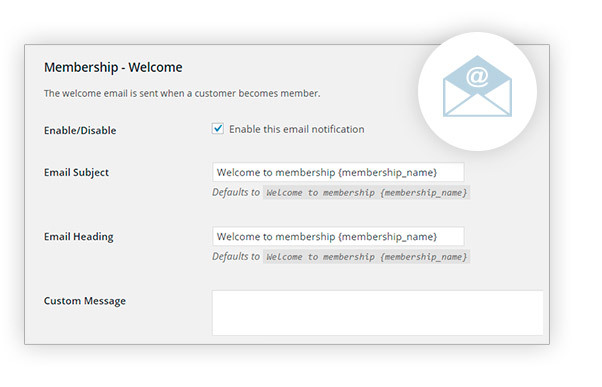 Unfortunately, it is not possible to import members through CSV, I am sorry. unfortunately, this feature is not available at the moment. 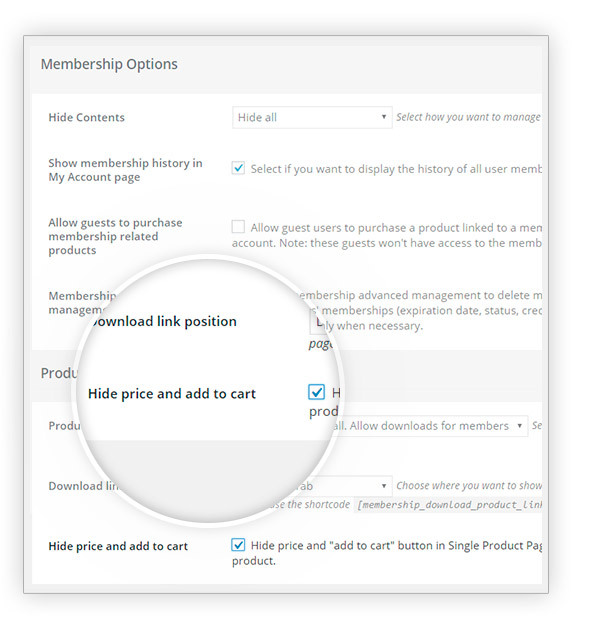 The membership is linked to the user, so the only solution we feel like suggesting is creating 25 users and associate them to 25 memberships.